Manchester United will play their Champions League last-16 first leg against Paris Saint-Germain tomorrow. Ahead of the game, the Red Devils had an open training session. Only Antonio Valencia and Matteo Darmian were missing. Here is the full training squad for Manchester United. 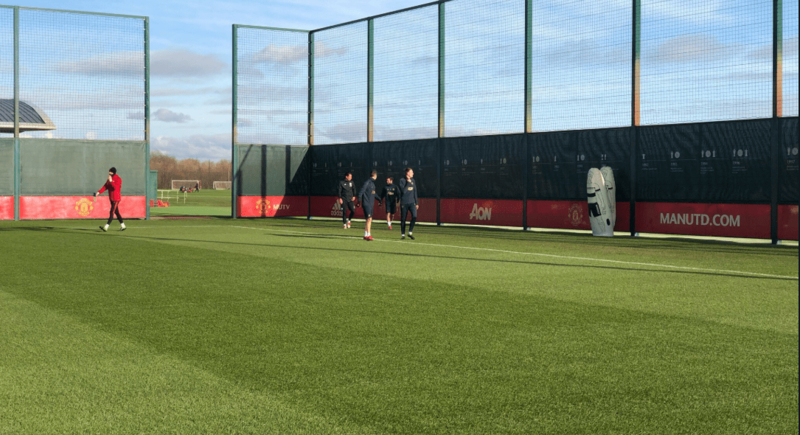 Manchester United training squad ahead of PSG fixture: Goalkeepers: De Gea, Romero, Grant Defenders: Smalling, Bailly, Jones, Lindelof, Shaw, Young, Dalot, Rojo Midfielders: Pogba, Matic, Herrera, McTominay, Pereira, Fred Attackers: Mata, Lingard, Rashford, Sanchez, Lukaku, Martial.